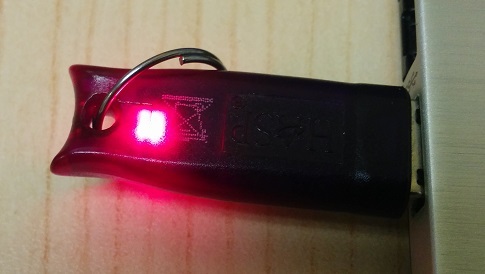 This Error Message Article explains the CODESOFT error message “No dongle has been found. Without a dongle, the program will run on ‘evaluation’ mode (it won’t be possible to save the label. ‘e’ will be replaced by ‘X’, ‘5’ by ‘0’ and the images will be crossed when printing). Press ‘Yes’ is you want the program to run on ‘evaluation’ mode. Press ‘No’ if you want to quit.” and details how to fix the underlying problem that caused it to appear. This version of CODESOFT is looking for a USB hard key dongle but cannot find it. Either the key is missing or the USB key drivers are corrupted or missing. Without activation in 30 days, it is going into ‘evaluation mode’. Older versions of CODESOFT (9 and earlier) would continue in ‘evaluation mode’ after 30 days but the label printed would be altered to make it unusable for production purposes. Find the USB dongle, plug it into the computer running the software, and make sure the dongle drivers are working (LED light inside of dongle should illuminate).